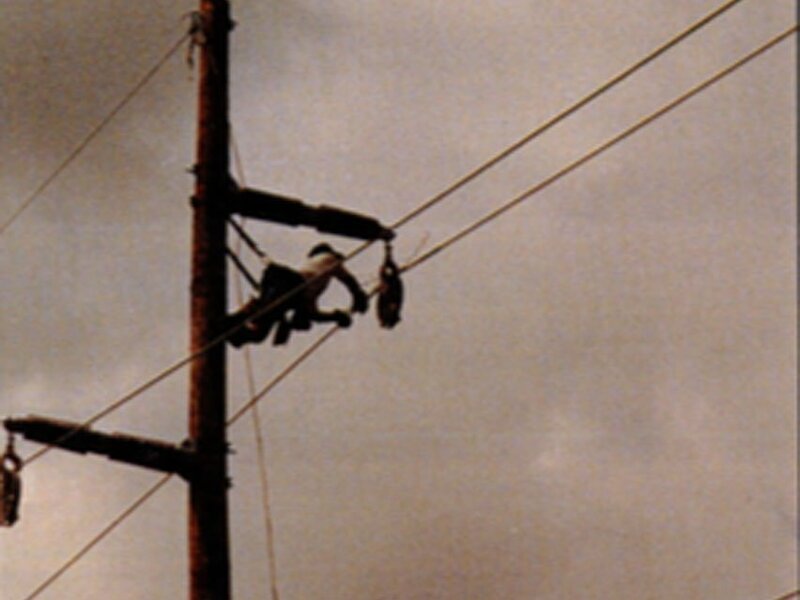 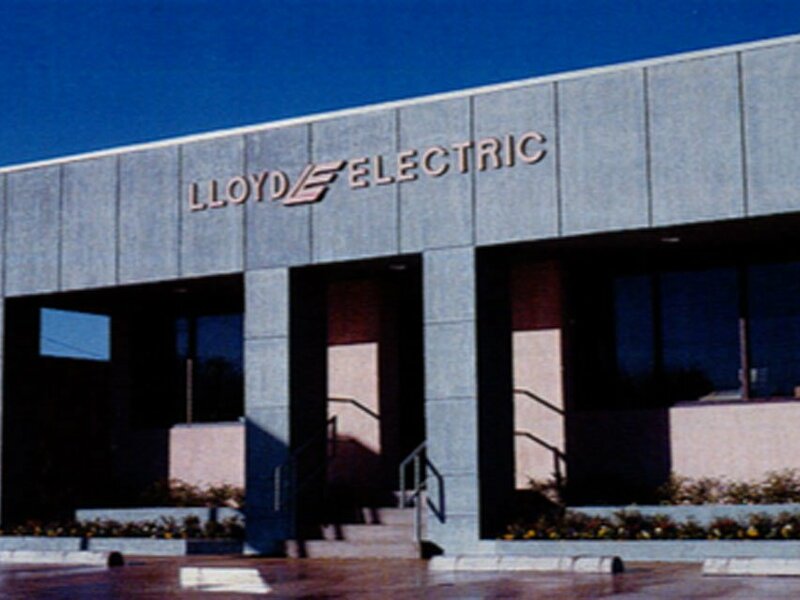 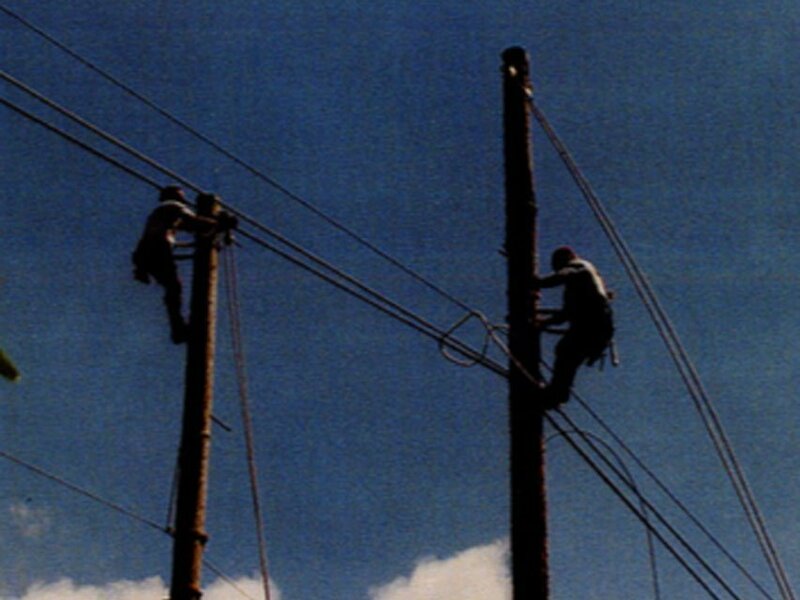 In 1988, Lloyd Electric was secured by the U.S. State Department to help restore power to Jamaica after the devastation of Hurricane Gilbert. 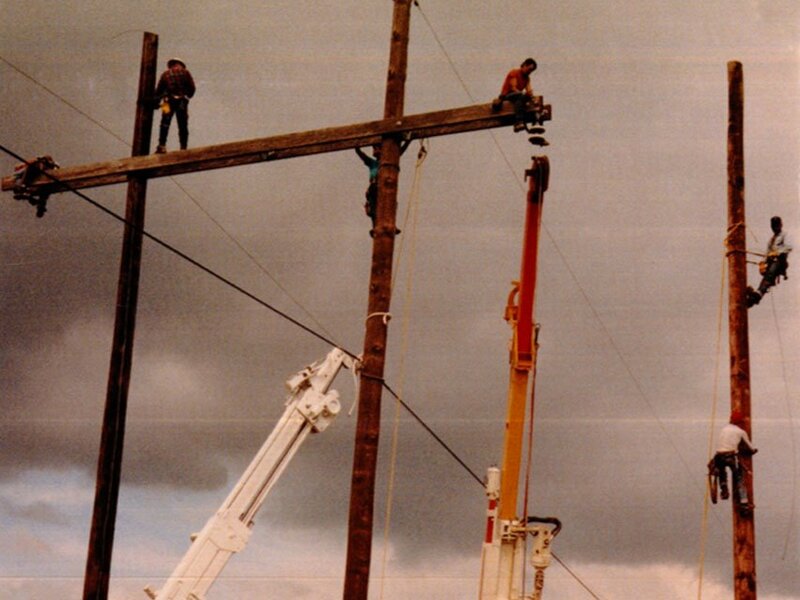 Owner Robert E. (Bobby) Lloyd, the only independent American contractor summoned to the island, quickly mobilized a crew of 30 qualified journey-men linesmen from around the United States. 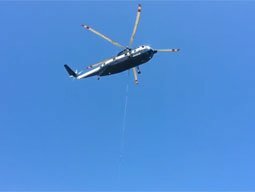 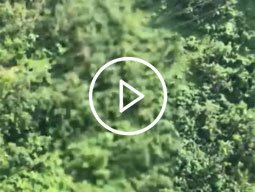 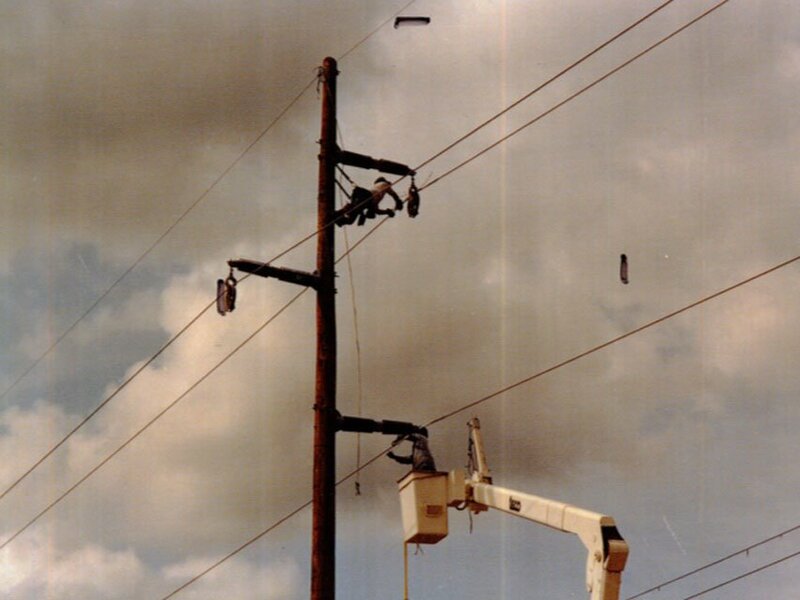 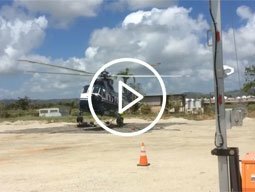 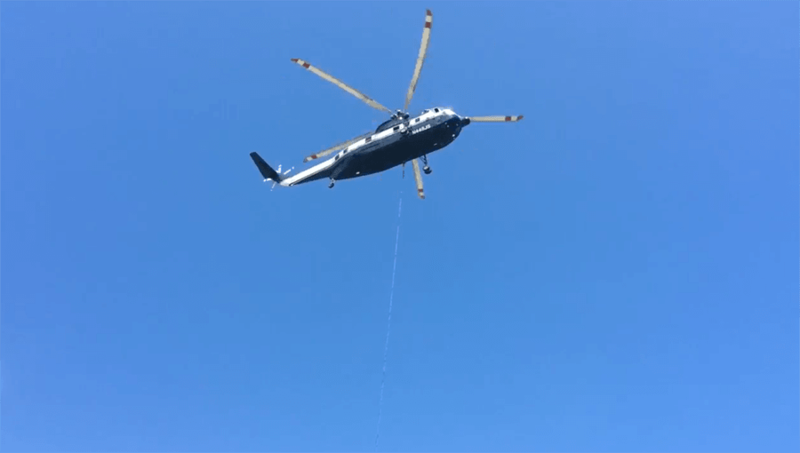 Using Jamaican military helicopters to lift and set poles in place and set cross arms, crews worked long days in remote areas of the mountains and across the 50 mile by 150 mile island. 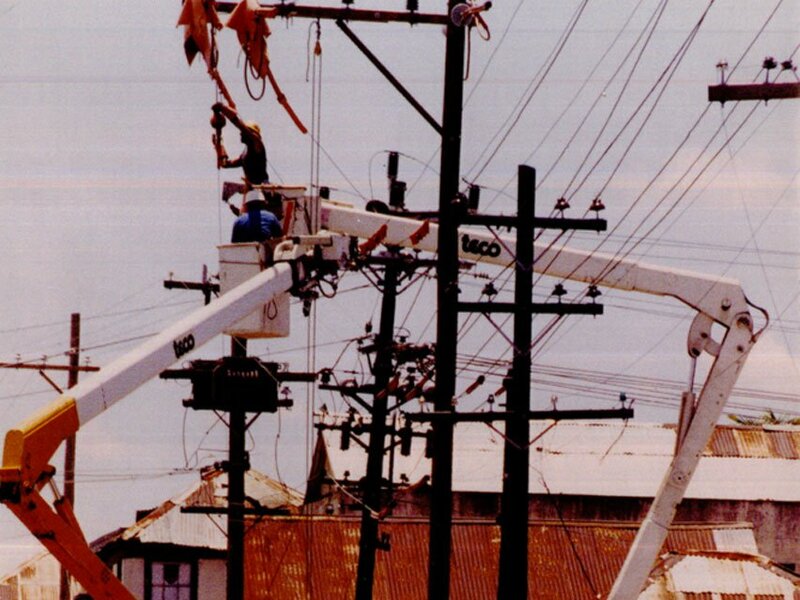 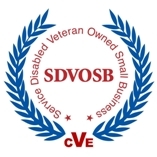 More than 85,000 man-hours later (in 1989), when much of that work was completed, the State Department hired the same crew to move from Jamaica to St. Kitts-Nevis and Montserrat (Leeward Islands) after Hurricane Hugo. 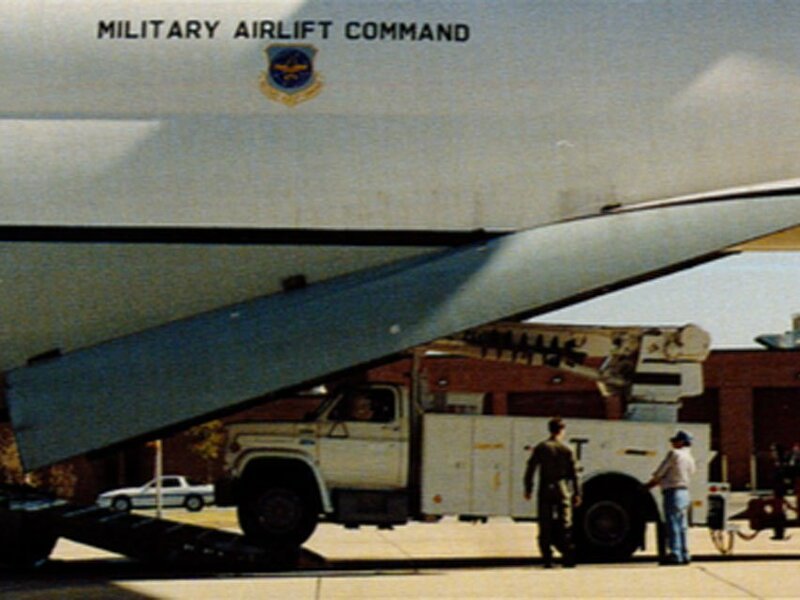 Two Air Force C5A cargo planes flew in their 14 pieces of equipment. 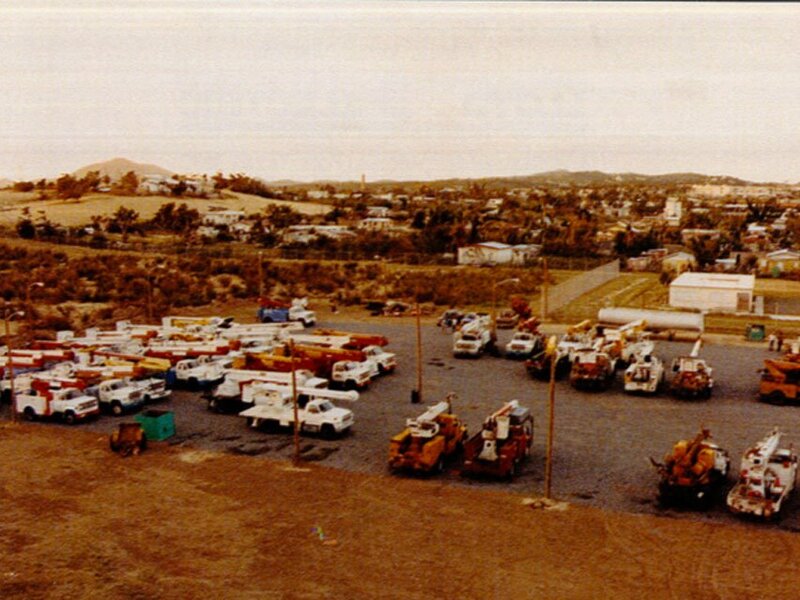 The crew later moved to other damaged islands, and Lloyd traveled to as many as five islands a day overseeing work. 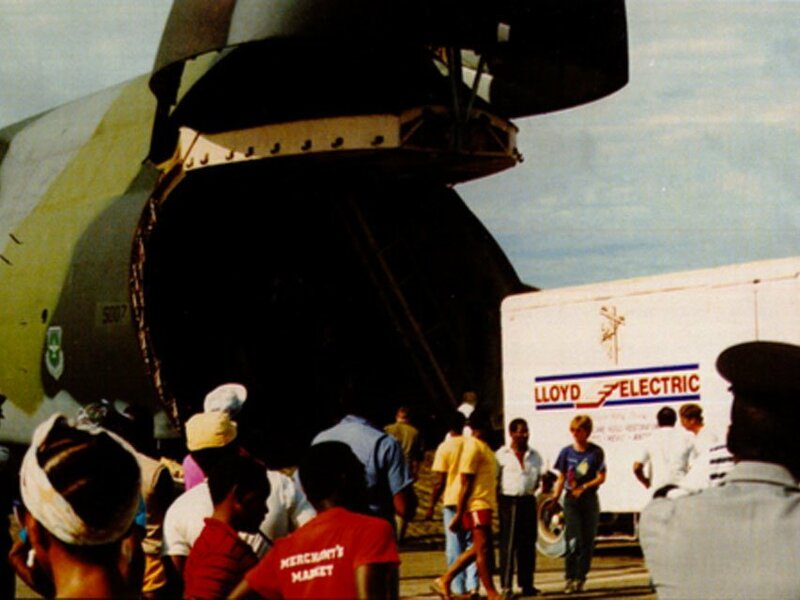 Also during Hurricane Hugo, Lloyd also set in motion another experienced team of 150. 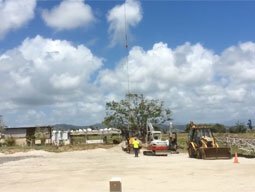 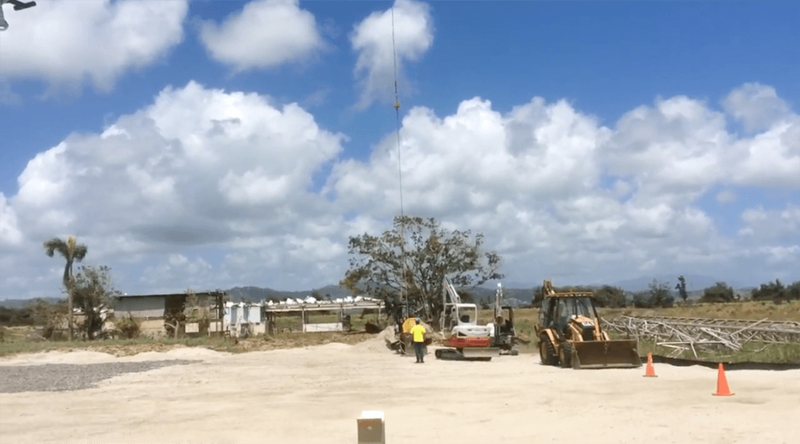 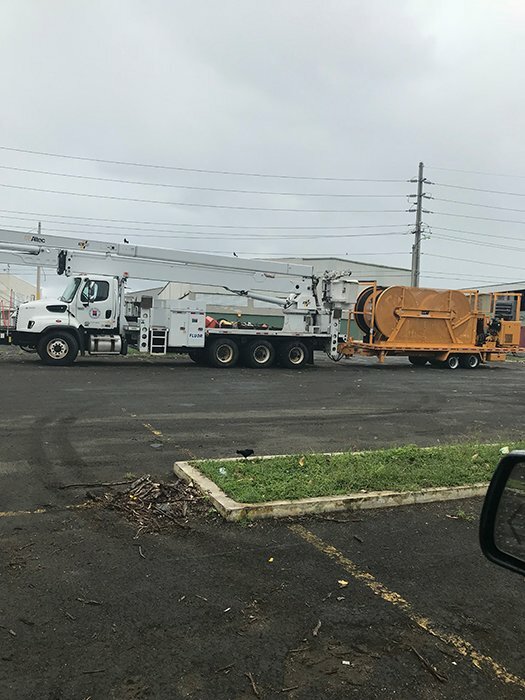 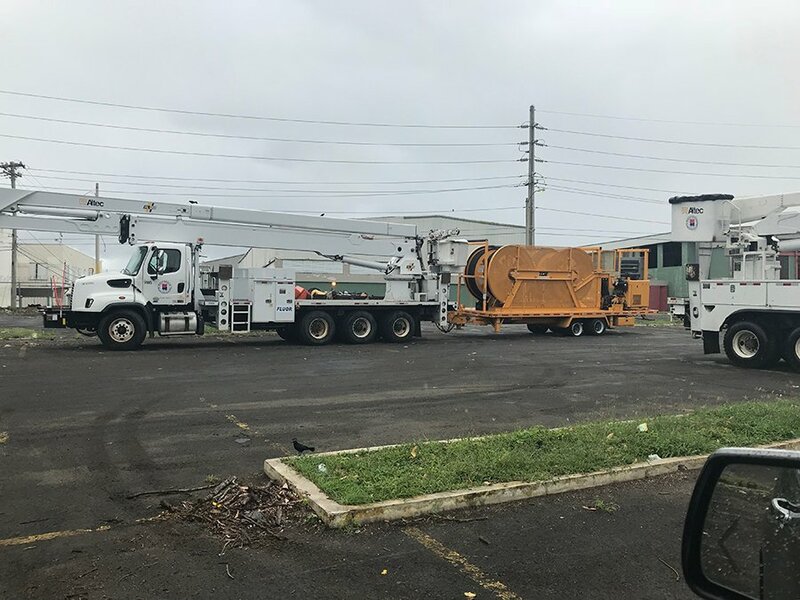 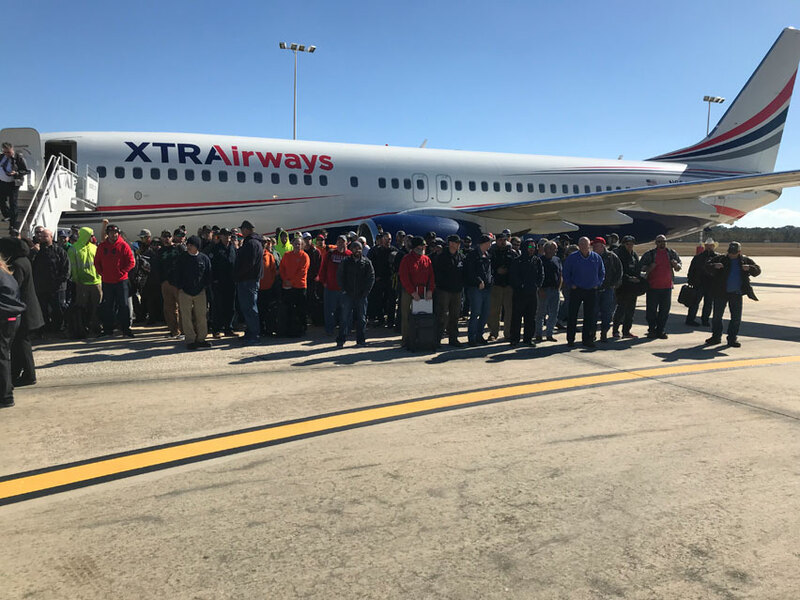 Via six Air Force C5A cargo planes, he went with them and 60 pieces of equipment (50’ buckets and digger derricks) to the island of St. Croix, where they restored power in 13 weeks, logging more than 105,000 hours, installing more than 220 miles of overland transmission. 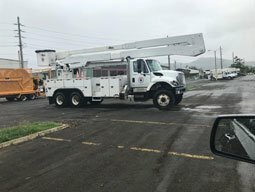 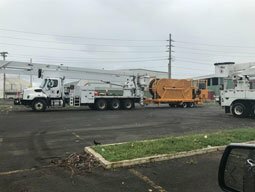 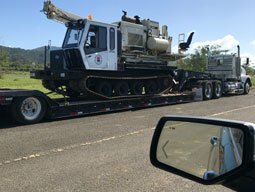 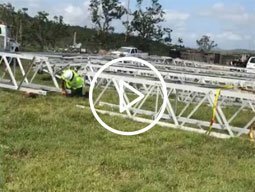 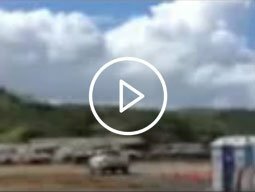 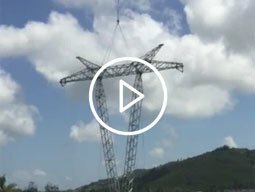 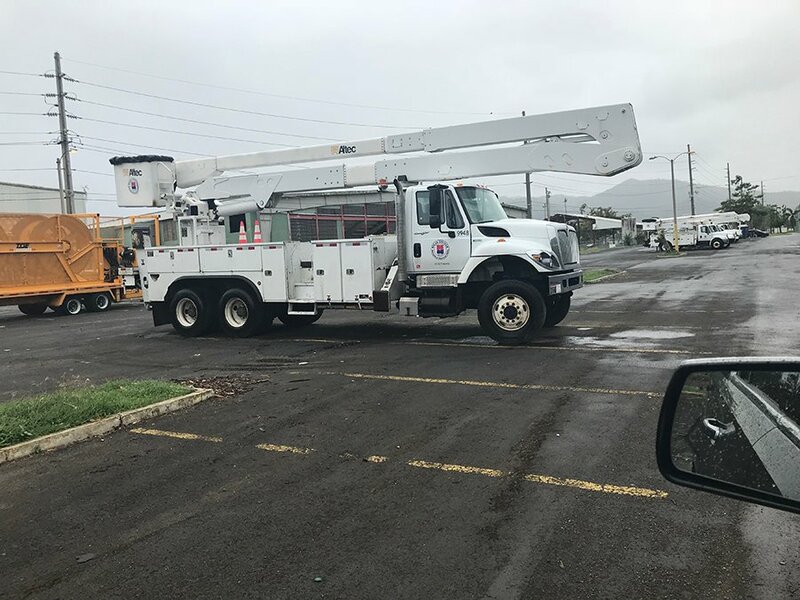 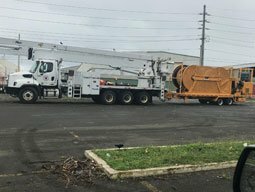 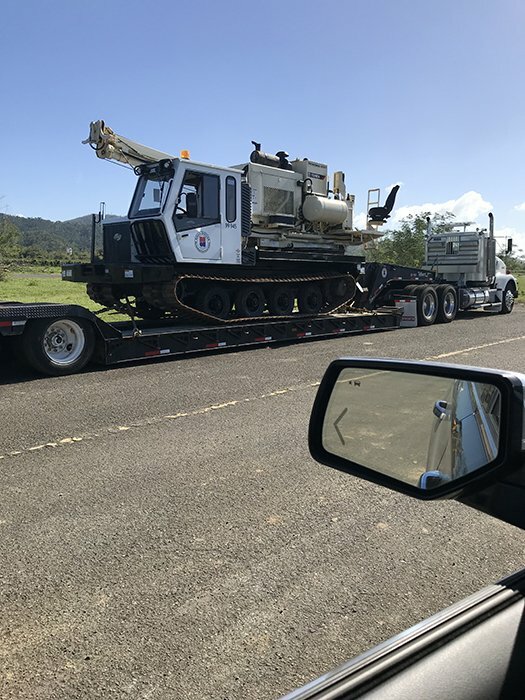 Successfully assisted in Power Restoration efforts in Puerto Rico after Hurricane Maria. 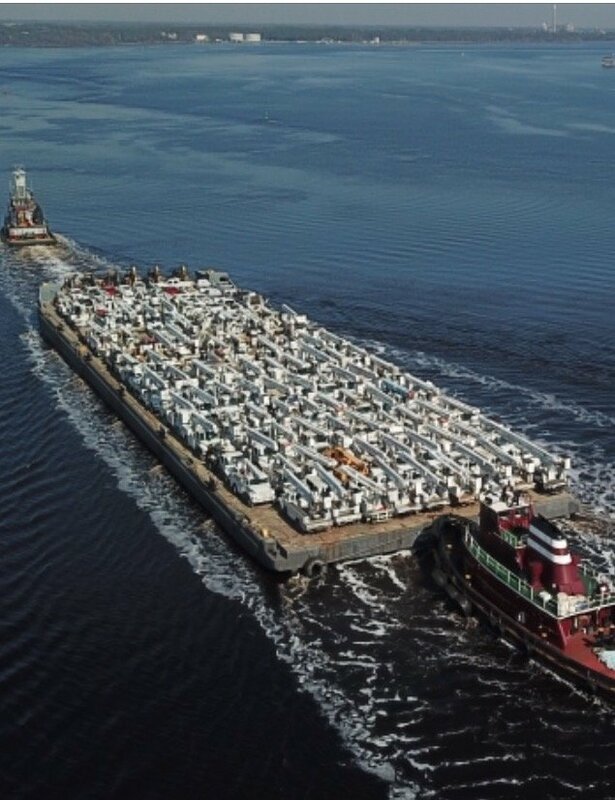 285 Linemen. 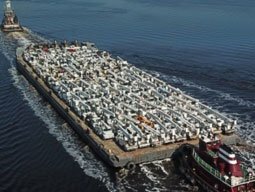 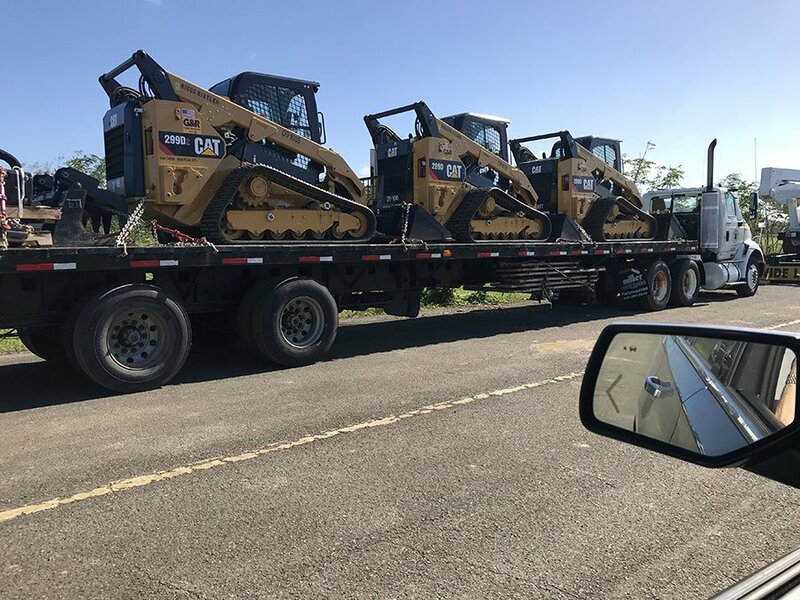 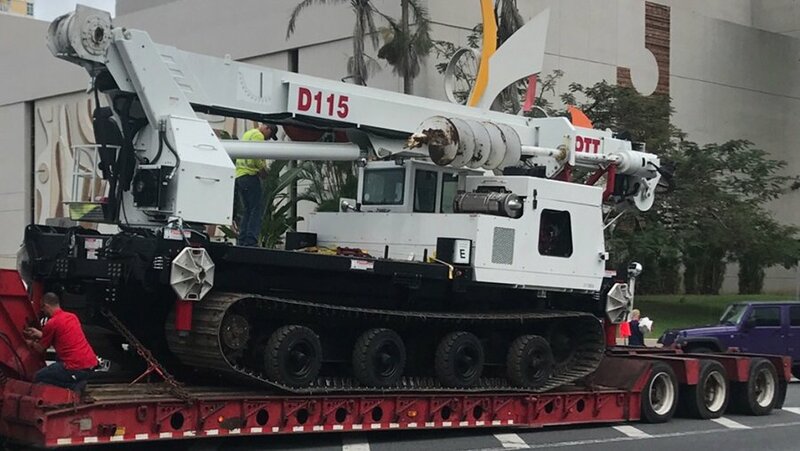 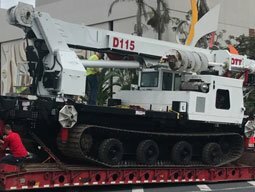 300 pieces of Power Line Equipment were delivered to Puerto Rico on ocean-going barges. 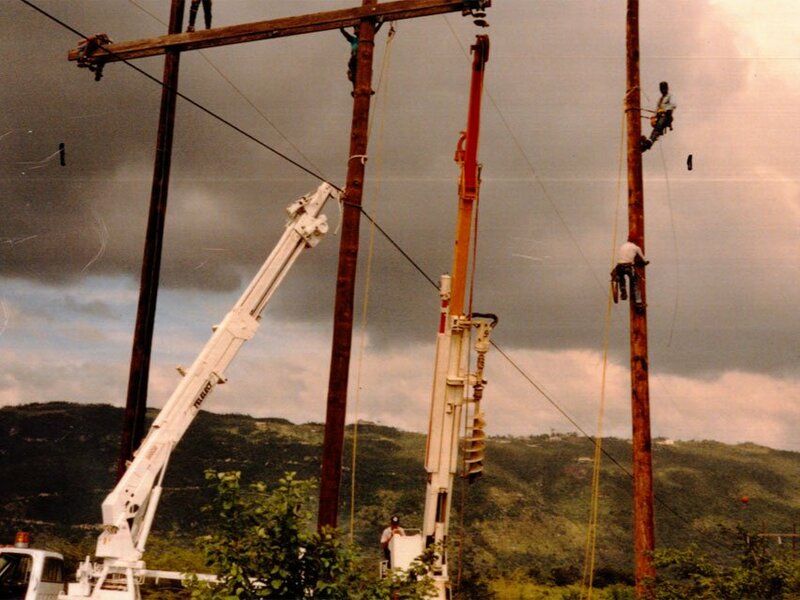 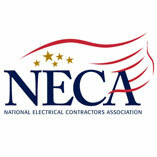 A great deal of the work was done in the mountainous areas, El Junque Rain Forest and Mountains around Caguas. 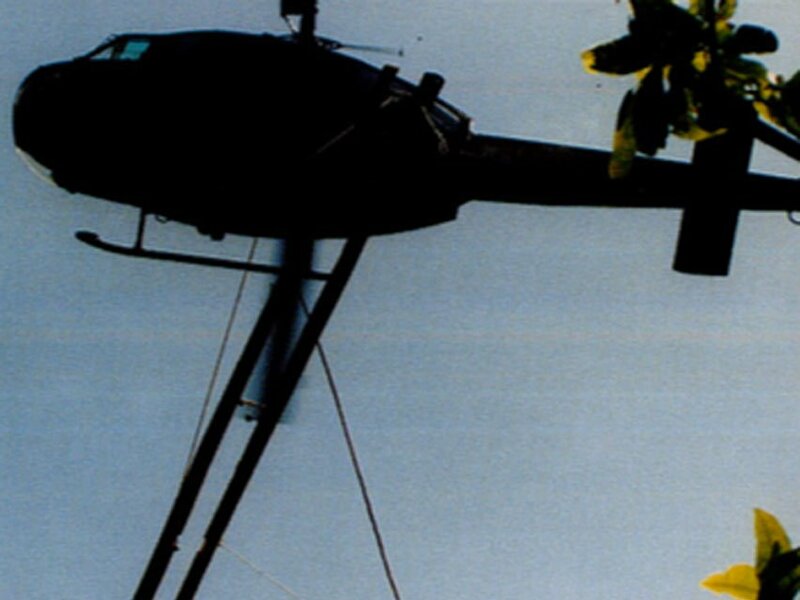 This work was done by flying men and equipment into the locations hanging below helicopters on 40' lines.